HUGE brick & vinyl split level home located in Ware County! Looking for a secluded home place with land then check it out. 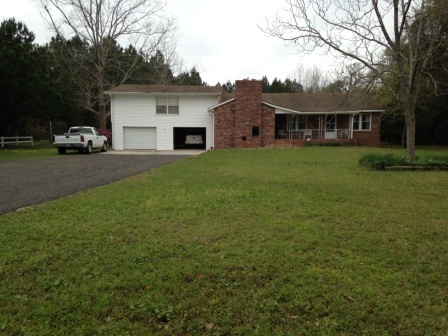 Located on 6.86 acres with 3 bedrooms/2 baths. House has been updated in 1972 and 2013 including the remolded glass sun porch, perfect for relaxing and taking in the view of nature. All bedrooms are large and master bedroom has a huge walk in closet. There are 17 acres for sell adjoining property great commercial investment. DIRECTIONS: Heading on Hwy 82 towards Nahunta, turn right onto Dixon Trail just past Guy's Automotive. Home is located at back of Dixon Trail.